Change can be a good thing. But changes in the Google algorithm is the death of SEO specialists. For years, they have been finding ways to increase their search rankings. 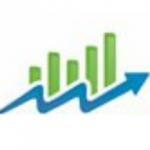 They do thisÂ by developing white hat off-page optimization strategies. The problem with white hat SEO is the time it takes to get a site or blog to appear on top of search results. It can take months, if not years, for a page to rank on the first page for its target keywords. Because of this, some specialists fall to the dark side and conduct black hat techniques. They get sites atop search results in record time through shady link building tactics. Google has been rolling out massive algorithm updates as of late. It all started when Google penalized content farms for proliferating thin content in 2011. Another important algorithm update involves disregarding guest blogging as a link building tactic. These changes ensure that search results provide users with useful content. By weeding out shady practices, they provide a much better user experience. SEO specialists need to keep up with the changes to remain competitive in this industry. Keeping updated isÂ a difficult thing to do shouldÂ they continue to tread the black hat SEO waters. There is a chance that their sites or blog will get penalized sooner or later. Because of this, specialists must not only adapt to the needs of SEO, but also to users. It is no longer about using the right keywords for the right pages. Instead, it is all about providing value to users. In other words, it is time for SEO to get personal. In this post-SEO age, specialists need to adapt their practices to the modern approach. I will discuss off-page optimization practices that are a cut above among other strategies. 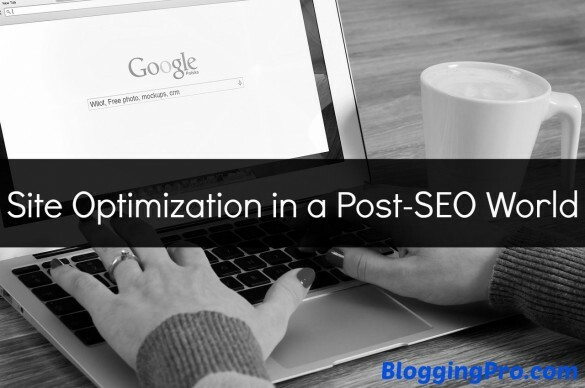 Below are ways that they can maximize their SEO output. The algorithm changes mean one thing: the forefront of SEO is content. For websites to increase their search rankings, they need to have usefulÂ content. But the most important thingÂ is that it needs to have lots of words. According to serpIQ, a page with at least 2,000 words has a greater chance for aÂ page to rank for its target keyword. Content length is not the primary barometer to determine its quality.Â But having lots of words in a post or article help flesh out the ideas much better. Long-form content gives your site a better chance to rank and provides value to your readers.Â Both areÂ strong indicators of a page’s SEO value. Content by itself will never deliver the desired goals from the get goÂ -Â you need to include research and outreach. BothÂ ensure that your content is well-researched and reaches to your audience. For finding “proven linkable assets,” you can also use BuzzSumo. Search for your keyword and see the top pages with the most shares. Reaching out to the sites one by one can be difficult. To manage the sites you will contact, use either BuzzStream and Ninja Outreach. For this example, I love BuzzStream because it allows me to paste the list of sites for outreach. The tool will find the contact details for me so I can focus on sending out the emails. I can create an email template for this outreach campaign and customize the message for each site. Throughout the campaign, I can define the relationship stage for each site. The stages giveÂ me a better idea on which course of action to take to engage them with my content. Why is this tactic important in the post-SEO world? Link building is dead. Creating backlinks from different sites is notÂ as sustainable a strategy compared before. There is a chance that a site will shut down or make changes to its linking policy. AsÂ a result, all the links you have built may disappear. Instead of building links, you have to earn them. 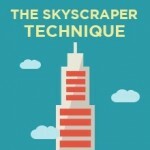 The Skyscraper Technique is a great way to earn links from your readers. Because the content is of high quality, there is a chance that people will make an effort to link back to this page. This way, you create an irresistible piece of content tailored to your readers. To reward you for your efforts, they canÂ link to your page,Â allowing you to gain a backlink from them! The best way to combat Google’sÂ algorithm changes is to build relationships with influencers. Relationship building is not an SEO strategy in the strictest sense. ButÂ you can determine the value of each relationship by the kind of action you wish to take. Before getting here, follow the steps below to make connectionsÂ with influencers. Send an email and make the connection! I have detailed each step in this post I wrote inÂ The Blog Herald. The steps should help you carve a meaningful relationship with influencers. It lets you create a footprint of goodwill towards their assets. The endgame is for the influencer to reply back to your comments or thank you for sharing their content. Do some searching around on Google, or use social media to find the people you need to get noticed by. Once you have “acquired your target” (so to speak), preemptively follow the hell out of them on social media. Don’t stalk them. Just hit them up on their fan page, send an occasional tweet, give them a +1. Write a guest post onÂ their site – Google may have flagged this link building tactic.Â But guest blogging has other better uses aside from linking back to your pages in the content body. By writing a post for the site of influencers, you tap a brand new audience that you can direct to your site. For this to happen, you need to write a post that allows you to share your insights andÂ knowledge related to the site. Conduct an interview – Ask influencers if they are open to answering a set of questions for you. Publish their answers in your blog and send the a link to the live post. There is a great chance that influencers will share the content on social media or link back to it on his site. Collaborate – You can ask influencers to work with you on a particular project you have in mind.Â Lay down the details of the project and explain the benefits of why they should work with you. It will take a good idea to get them on board your project. But by confirmingÂ their commitment, you can sustain a working relationshipÂ with them. In fact, you can even become an influencer yourself if all goes right! While the reward is great, following this process may take awhileÂ to finish.Â Instead, you can join different sites with a built-in audience that is ready to engage with you. MyBlogU is a community that is willing to share ideas and help each to achieve their online dreams. The Brainstorm section allows you to get help in fleshing out your ideas for a blog post or a niche site. You can also share your ideas to existing brainstorms and increase your user rank. Before answering the brainstorms, take note of the user’s Creator Response Rate. A high response rate increases the likelihood of the user featuring your answers on their site. I have had success in brainstorming with other users that they featured my answer with a link back to my site. 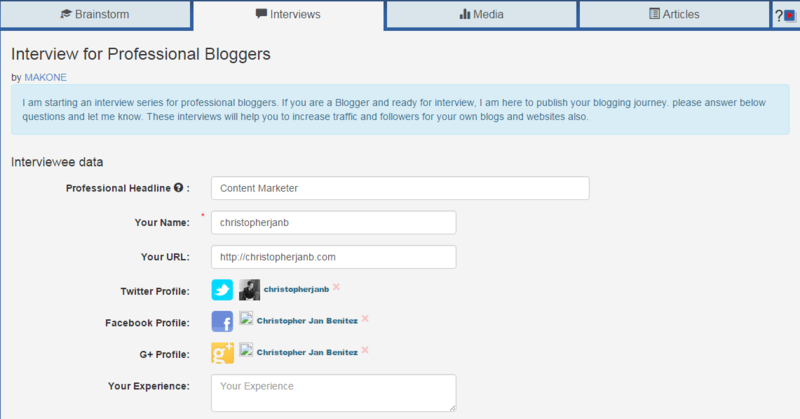 The Interview section lets you answer questions from different users for a blog post. If the users like yourÂ answers, they may publish them in the postÂ with a link back to your site. Each interview requires you to provide longer, in-depth answers.Â I have not tried sending answers from this section yet for this reason. But I am sure that the effort will be worth it once they publishÂ the answers. Another site for building relationships is Triberr. It lets you build “Tribes.” From here,Â you canÂ promote your content and interact with like-minded people. The great thing in Triberr is the Bonfire section. You can find the right tribes and find guest blogging opportunities. The latter lets you increase your online reach by writing for other sites. Why is this tactic important in the post-SEO world? Building sustainable relationships lets you combat against the algorithm changes made by Google. Forming long-lasting bonds with influencers lets youÂ earn longer-lastingÂ links from them. Both strategies illustrated aboveÂ help you make an impact with your audience. They allow you toÂ earn backlinks by way of your readers and connections. The content you create and the relationships you have forged provides value to them. As a result, there is a greater chance for them to link back to your site. Through both strategies, SEO becomes more personal. By leaving a mark with readers and influencers, you approach your online strategy with a personal touch.Â Personalizing your SEO allows people toÂ trust you. ByÂ developing that trust, you gain their approval by way of a backlink. Very interesting and useful article and enjoyed reading this. Skyscraper technique is a brilliant technique for natural and organic link earning and I am truly thankful to Brian Dean, as this technique earned me a couple of very good links form some authoritative sites within just last couple of weeks time. Even I have used this technique in some other ways which even got me better results in my niche. Triberr is another really handy tool to collaborate and interact with people on the same industry. Thanks for commenting, Sonia! The Skyscraper Technique rolls content, SEO, and outreach tactics together into an unbeatable tactic to date. Building lots of content using this technique should help you drive lots of traffic and increase your search rankings. Triberr has been around for a long time but it is only now that I’m realizing its potential for relationship building. Great points and some very good information. I have to second Sonia’s comment on the Skyscraper technique. I think it is particularly useful for expert roundups. Perhaps one of the best examples I have seen of this is on clambr.com by Richard Marriot. I’ve said it before and I’ll say it again: the Skyscraper Technique is awesome! Also, glad you liked us mentioning you in one of our posts. It’s a great quote! Skyscraper and relationship building tactics? Well, these are well explained in this post. I just can’t wait to put them into practice. They require in-depth analysis and opens up avenue for the provision of values to the visitors. Hooking up with influencers has always been a good strategy for online success. 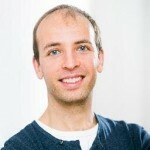 Thanks to Brian Dean and his Backlinko tips one can use the website as a guide for a successful optimization in the post-SEO era! Building relationships with well-known people within your industry is one of the best and easiest ways to drive more traffic to your blog. Combining this with publishing great content using the Skyscraper Technique and you can compel your visitors to link back to your resource page. Thanks for commenting, Sunday! if you love to do works on google blogger then you need just internal website setting you can easily rank your post via search preference setting. this setting will make your Google Seo awesome. this is really interested about SEO. This is my first visit to your site and i must confess that you’re really doing a good job here. The skyscraper technique has proven to work for so many people and its no longer a new thing. If you understand it and apply it very well, it can you lots of traffic, exposure and links. Also, carrying out blogger outreach is a no brainier and i will highly recommend it to any serious marketer. You’re welcome! What separates bloggers from writers is their ability to build relationships and connections with their readers even after the post has been published. The Skyscraper Technique will help you pave the way for more interaction with your audience. It also paves the way to your blogger outreach strategy – you can use your Skyscraper content as a starting point of discussion with other bloggers. There are so many things you can do here to help you gain a backlink in an organic way. hi, you doing good job. Its a very nice article about site optimization. thanks for sharing. Google have now updated their Google My Business results as well. Just thought you should know. Google is placing allot of value these days on sites collaborating with each other. Wow! Awesome Post abot seo. It’s very interesting post. Thank you so much for sharing this information. Hey skyscraper is really a great technique. It I use it to reach out to authority blogs. Se nada for feito para tratar esta condição, cabelo tende a desaparecer completamente.